We act on behalf of private clients searching for the perfect property in the UK countryside. Whether you are moving out, moving back or moving up, Middleton can help you find the house of your dreams. Often, we help our clients acquire property that isn’t available on the open market, using our unmatched network to find that needle in the haystack, the one that matches all of your aspirations. When we conduct a search, we’ll be looking to tick all of the boxes in your brief. 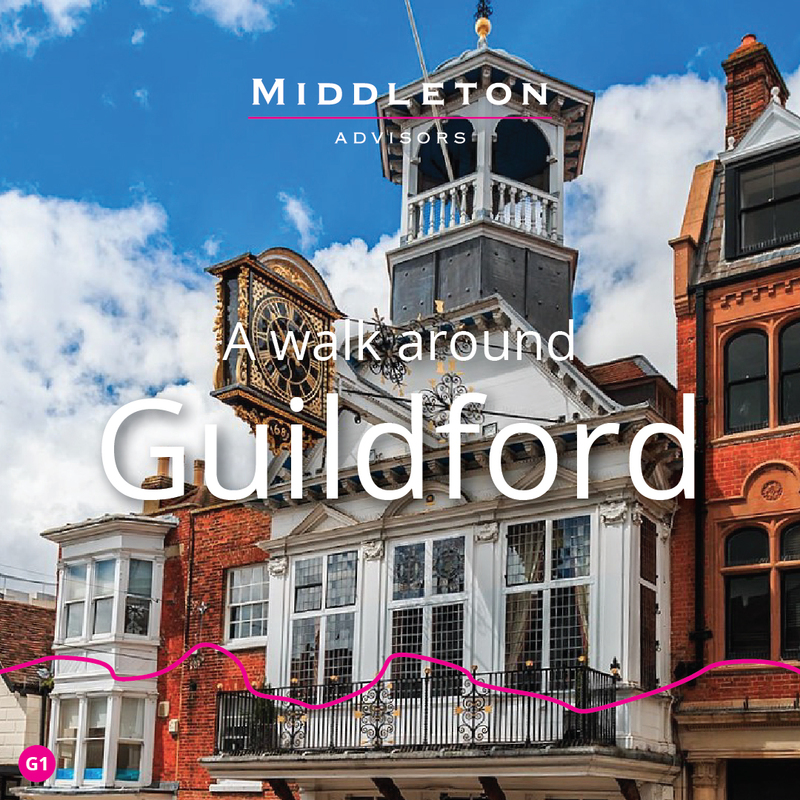 Here, Middleton’s Mark Crampton takes a walk around Guildford and the surrounding villages and countryside and picks out just a few of the attractions that make it an enduringly popular centre for many people looking to move to the country, but stay in touch with London. 1. Guildford may not be ‘undiscovered’, but it still hits the sweet-spot for many families, whether that means the town itself or one of the many beautiful villages in its orbit. From the cobbled high street out to Albury, Worplesdon, Blackheath, Wonersh, Bramley, Chilworth, Shalford, Compton, Shackleford, Frensham, West Clandon we love searching for prime property in this area, because it has something for everyone, and it’s just a half-hour journey into London Waterloo, and equidistant between Heathrow Airport and Gatwick airports 40 minutes away. 2. 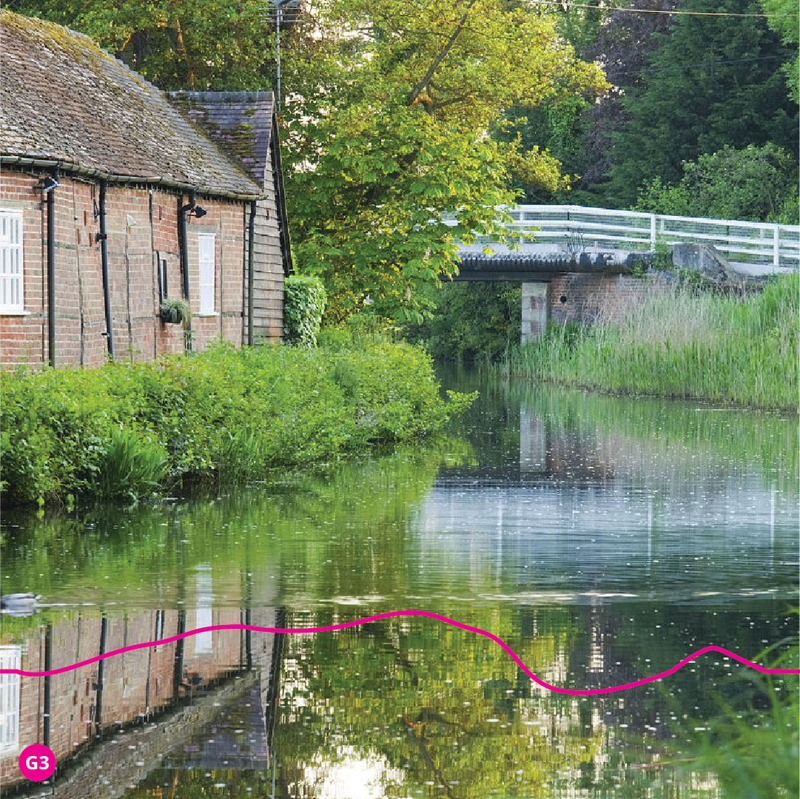 Guildford marks the northern edge of the Surrey Hills Area of Outstanding Natural Beauty, that encompasses Farnham to the west, Haslemere to the south and Reigate to the east. Box Hill, the Devil’s Punch Bowl and Frensham Ponds are some of southern England’s most iconic rural sites. You’ll be spoiled for Sunday walks and pub lunches. 3. If you’re feeling vigorous you can cycle the 40-odd miles from Guildford to central London without touching a major road. Following the Wey towpath to Weybridge, then the Thames towpath to Ham House. Cross through Richmond Park, some back streets through Putney and Chelsea, into Kensington, through Hyde Park and Green Park to Buckingham Palace, then follow the cycle path next to the Mall to Parliament Square. 4. Heading in the other direction, the Downs Link is a 36-mile route from Guildford to Shoreham on the south coast – it’s mostly off-road, following the old disused railway line, and affords beautiful walks and bike-rides. 5. Talking of pubs, cafés, restaurants, however, there are some of the best in and around Guildford. Try the Grantley Arms at Wonersh – great beers, nice relaxed atmosphere and pub food at its best; or the Speckledy Hen deli and café at Shamley Green where they serve the best sausage rolls in the south. And for restaurants – well, The Ivy effect is well known. Guildford’s version is the ‘Castle View’, because…. well, because of the views of the castle. 6. Good schools are almost always at the top of the list of reasons for moving out of London to the countryside. Guildford has prep schools and senior schools, including St Catherine’s Bramley, the Royal Grammar School, Longacre Prep School, Guildford High and Cranleigh. 7. There’s a healthy mix of retail luxury, independents, markets and high street brands in Guildford. The High Street is always bustling, and there’s a wealth of farm shops, arts and crafts, pottery and artisans in the surrounding villages, and a regular farmers’ market, as well as North Street Market. 8. Beaverbrook is more than just a golf club – it has a spa, three restaurants, cookery school, equestrian centre, kids clubs, bedrooms and meeting rooms within its 460 acres nestled in the Surrey hills half an hour from Guildford town centre. 9. From its own Oktoberfest to the Summer Festival, you’ll find plenty to stimulate you culturally in Guildford. 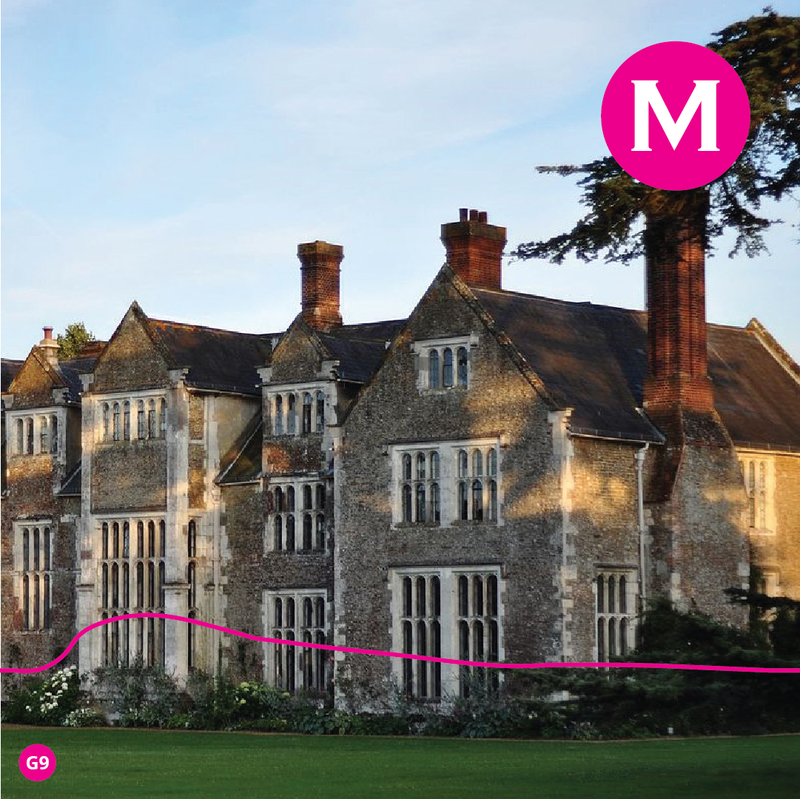 Watts Gallery is an artists village in Loseley Park, which is also home to the stunning, 16th century Loseley House and gardens.